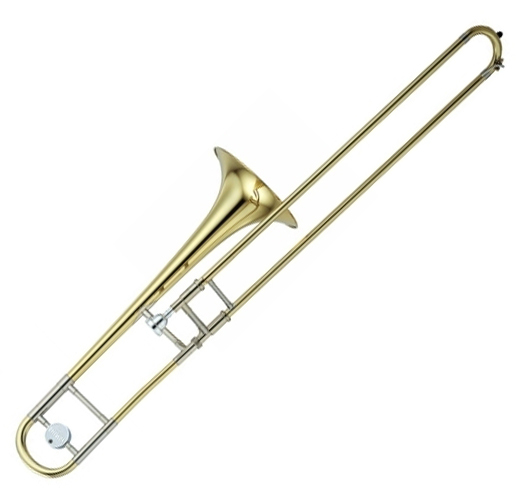 Yamaha Professional model trombones have long been popular thanks to their quick and agile response, highly accurate intonation, and rich warm tone. The new Pro series have kept all these fine qualities, while adding some design features from our top of the line Xeno trombones. Their broad sound has a well defined tonal core for excellent projection in all registers at any dynamics. The series offers two different bore sizes to meet individual playing needs: the 630 has a medium-large bore for versatility in all musical genres, and features a two-piece hand-hammered bell for a quick response. The narrow style slide and medium weight construction provide exceptional playing flexibility. The YSL-630 has a continuous taper bell section that improves intonation with even resistance in all registers. The chrome-plated, nickel silver, drawn, inner slide is very durable and has a quick, sensitive response. The one-piece, drawn, yellow brass outer slide maintains an accurate diameter throughout its length, and this type of construction ensures airtightness, smooth action, exceptional durability, and adds resonance to the sound. Specially designed one-piece inner slide stockings guarantee airtight slide construction, and offer smoother slide action and better alignment, even in the extended 6th and 7th positions. Hand-lapping slides ensures an absolutely perfect fit and seal between the slide parts. Such a perfect fit helps to achieve smooth air flow and smooth action and improve the response and intonation of the instrument. A high-energy laser fuses the brass together for a virtually seamless bell which allows continuous, even vibrations. The large, easy-to-hold, nickel-silver bracing guards against possible slide damage if the instrument is dropped and also lessens fatigue while playing.